Popular iOS messenger iMessage has always been Apple users favorite messaging app of all time. Though it is limited to Apple devices only. For people who migrate to android has to deregister from iMessage in order to keep receiving texts from others. Many developers tried bringing iMessage to Android but failed everytime, as Apple would block their solution with an update. 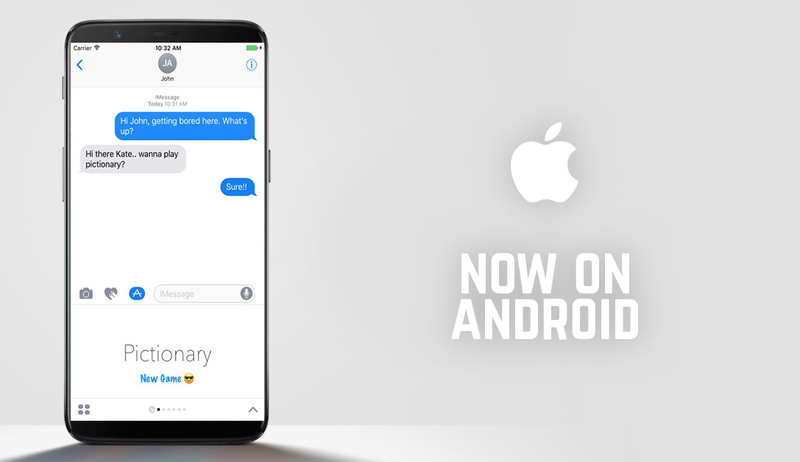 Recently a 16 year old Developer named Roman, developed an app called weMessage that allows users to use iMessage on their android devices. But in order to use this app on your android device you need to have a MAC computer too. weMessage developer Roman Scott has posted this solution on reddit over the weekend, and it received plenty of attention. Here's a glimpse from his post. My name is Roman, and I am a 16 year-old app developer. I have recently published my first app to the Play Store, called weMessage. weMessage is an app that allows you to use iMessage on your Android phones or tablets. I created weMessage due to the inability of people on Android to use iMessage’s ecosystem. Although it is allows you to use iMessage on your Android device, I cannot close the gap between Android and Apple completely because weMessage is reliant on an Apple computer, which I will explain below. weMessage is composed of two pieces of software: the Android app itself and a messaging server that I called the weServer. In order to use weMessage, you need to install the weServer on a Mac computer. The weServer acts as a “bridge” between the Mac computer and your Android device. The weServer is a messaging server that processes and relays iMessages to and from the Android device. The reason why an Apple computer is needed is because the iMessages need to be sent through an Apple device in order to be delivered. The iMessages need to be sent through Apple’s servers, and the only way to do this legitimately is to use an Apple device. If the weServer supported Windows or Linux, I would not only be violating several EULAs but would be relying on an exploitation that would likely be fixed in the future. Many developers have did this before, but Apple always came up with the solution and blocked these apps. However Roman said he'll try to succeed where other developers have failed by continuing to support his app and updating it if Apple blocks it . however weMessage is amazing way to get iMessage on your android device if you own a MAC computer.